Nelson Acosta, Reuters - The Cuban state-owned pharmaceutical and chemical company Labiofam plans to build a complex in Bolivia that would help the South American country meet 100 percent of its demand for basic medicine, the company said on Monday. Bolivian President Evo Morales requested the project and Bolivia will finance it, Labiofam Director General Jose Antonio Fraga said without disclosing the cost. "We should sign the contract at the end of this month," Fraga told Reuters at a company meeting on Monday. "If we sign the contract we will start right away." 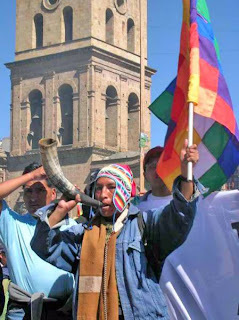 Bolivia hopes to supplement current supplies and meet 100 percent of its domestic demand for basic medicine once the project is complete, and any excess production would be exported mostly to countries within the Bolivarian Alliance for the Peoples of America (ALBA), an association created by leftist governments in Latin America. "This is basically for poor people because they can't afford the prices set by the trans-nationals," Fraga said. "So these industries will be subsidized by the state or their products will be sold at a very small profit margin, just to sustain themselves, not to get rich." Bolivia in 2012 created the Fund for the Productive Industrial Revolution (FINPRO) to finance such projects. Of the trust fund's $1.2 million, some $900 million have been set aside for public development projects, such as a $300 million cement factory and a $50 million powdered milk plant. Labiofam was created in the 1960s with the help of former Soviet bloc nations and today does business in 60 countries. In Cuba it produces 98 percent of the veterinary medicine used on the island and also makes nutritional supplements, homeopathic medicine, pesticides, cleaning products and plastic containers.